Scatter Their Own on “Make No Bones About It.” July 17th, 2016 at 4pm. Tune in and experience these beautiful people! I am super excited to have a visit with our relatives. Scatter Their Own out of South Dakota’s Oglala Nation share heartfelt music with the world. .” Scotti Clifford and Juliana Brown Eyes-Clifford nurture and shares their thoughtful songs . The sounds of their music will rock your senses and sooth your soul. 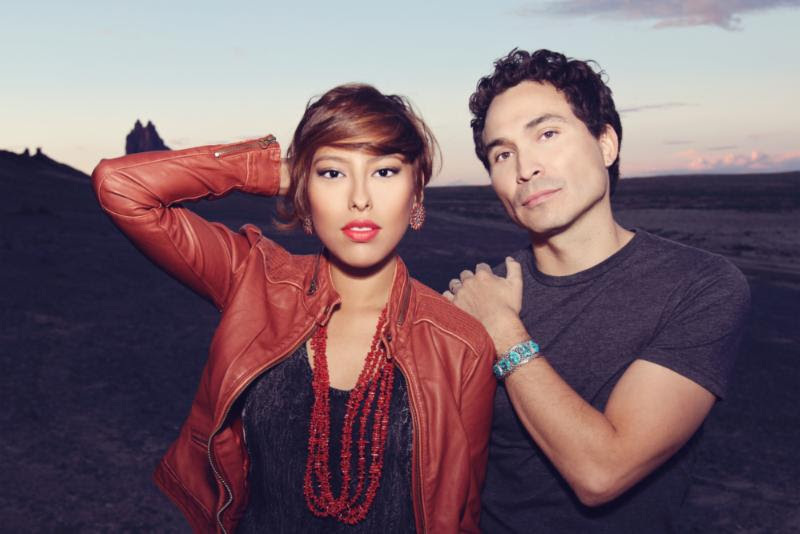 We invite you to join our conversation with this alter-Native duo. Scatter Their Own is our May Music Maker and we’ll also give away cd copies of the new album. This entry was posted in Make No Bones Shows and tagged Connecting with Spirit, Indigenous, KAOS 89.3 FM, Lakota, Make No Bones About It, Native Woman, Raven Redbone, Scs tter their Own. Bookmark the permalink. You actually make it seem really easy together with your presentation but I find this topic to be actually one thing which I believe I might never understand. It seems too complicated and very extensive for me. I am having a look ahead on your next post, I’ll try to get the hold of it! I’m no longer sure the place you’re getting your info, however good topic. I must spend a while studying more or understanding more. Thank you for excellent information I used to be in search of this information for my mission.